Slack users have a new way to communicate with their team members because the company has added voice calls to its platform. The feature, dubbed Calls, is currently in beta and enables users to start both one-to-one and group calls with up to 15 team members. The group Call feature, however, is only available for users leveraging the Standard Plan and above. To get started with Calls, an Owner or Admin must turn the feature on in their team’s settings. The feature is available on Slack desktop apps for both Mac and Windows, as well as in Chrome. According to the company, Calls will also be made available on iOS, Android and Linux in the future. Once the feature has been enabled, users can open a channel or direct message and click the phone icon at the top of their screen to start a Call. In one-to-one and group DMs, Calls will start right away and the team members that are being called will receive a pop-up notification to answer. That said, Calls going to team members who are set to away will only ring for 30 seconds, and calls will not go through at all to members who are set to do not disturb. 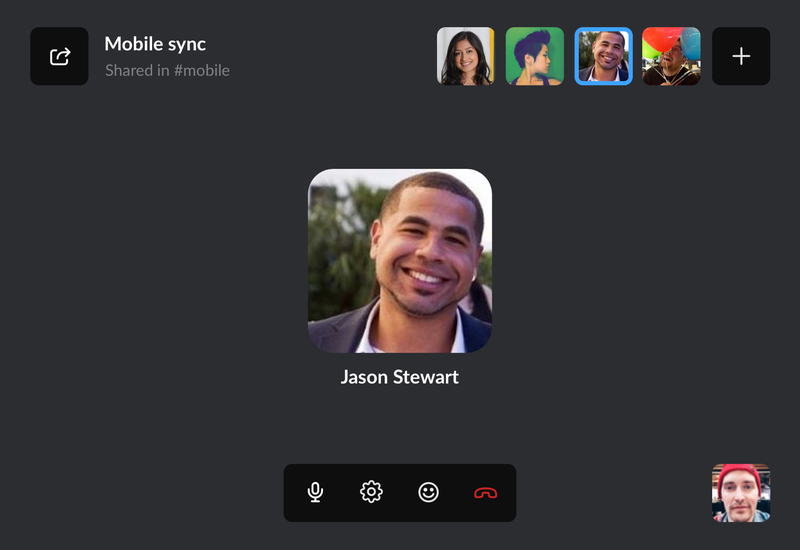 It is also important to note that there are built-in controls inside the Call that enable users to invite more members, control the microphone or audio, as well as send reactions via emojis.